In the pages that follow, you'll meet the people who make New York work. 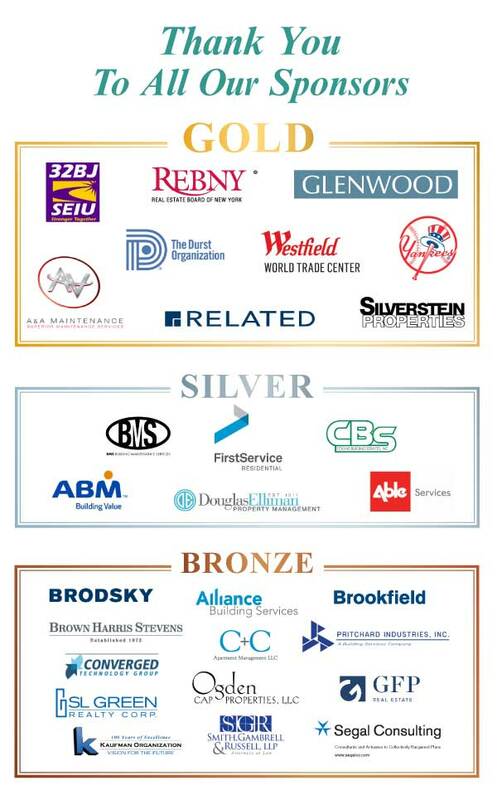 For over a decade, our newspapers have proudly joined forces with 32BJ to celebrate the supers, porters, cleaners and others who make our city a better place to live and work. We are thrilled to be able to honor a few of them once a year, and to say thank you. Thanks to our sponsors and to 32BJ's President Hector Figueroa, Eugenio Villasante and Carolina Gonzalez for their help on this project. 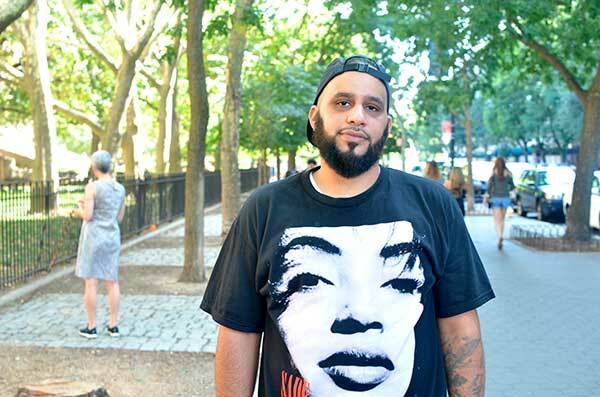 Read these stories and meet a remarkable group of New Yorkers. And please join us in congratulating them all. Anthony Ciotti prides himself on putting together a good team. He wishes his favorite sports franchises could say the same. “I pick all the hard ones,” he laughed. Ciotti got hired on the spot. He started on the West Side and then 2 1/2 years later he was asked to open a new building, The Colorado, on East 86th Street. He's been there ever since. And if that does happen, there's always tomorrow — wake up and try again. The most challenging aspect of his job is making sure all the residents are satisfied. This goes hand in hand with the best part, which is making people happy and seeing a smile on their faces. “Knowing, when you walk out at the end of the day, that you did your job,” he said. 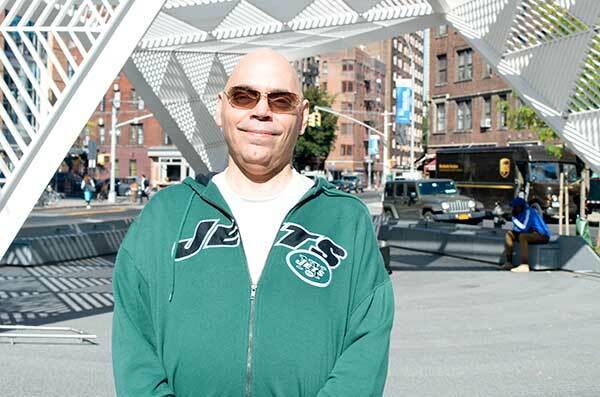 In his free time, Ciotti loves to go to Jets games. Being a Flushing native, he also loves the Mets. “Unfortunately,” he laughs. Although he's got 33 years under his belt, Ciotti doesn't plan on retiring any time soon. “I love people and I love what I do,” he explained. “And like I said, every day's a new challenge.” In addition, his wife has started a dog walking business, 4 Pawz Forward, and he wants to support her in its growth and development. Keisha Bessette likes to make people happy, which is a good trait to have when you handle a building with more than 600 apartments. Bessette started working at 11 Riverside Drive 19 years ago. She was about to graduate from high school and needed a job. While visiting a friend who worked in the building, she overhead the general manager say they were hiring. Bessette bounced around in the beginning and has even spent some time as the elevator operator, but she eventually settled in as concierge. In that role, she greets people, keeps on eye on kids darting around the lobby, and has to know a little about everyone in the building. When she's not at work, Bessette spends time with her family. She owns a three-level house in Brooklyn, with her mom living upstairs and her brother downstairs. Friday is her time to catch up and chill with her daughter and cook whatever she wants. That usually includes things like stewed chicken, oxtails, mashed potatoes, macaroni and cheese, or lasagna. Her daughter's birthday is in December and instead of parties, she started treating her to travels at age four. They've been to Turks and Caicos, Disney World, Universal Studios, and Dubai. And until recently, she made yearly treks to her native St. Lucia. Future trips will include the Maldives Island and a return to Dubai. Loretta Zuk fixes things. It's been that way since she was a little girl. 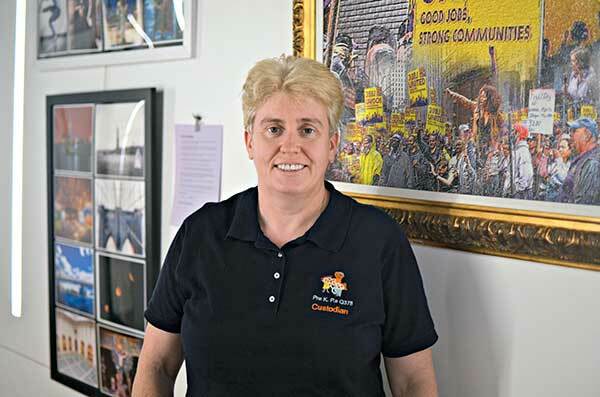 After high school, Zuk went to New York City Technical College, where she was one of just four women who took the 480-hour building superintendent certificate program. After graduating, she was recommended to the folks at Columbia University. Zuk started as a handyperson. 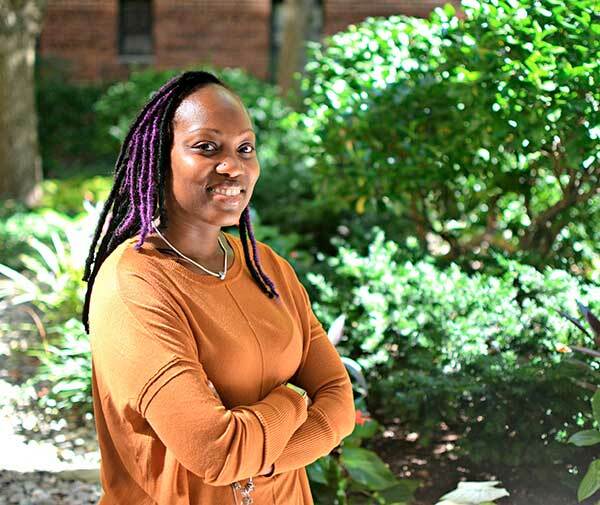 She left after three years to work at two other buildings, which increased her skills and allowed her to come back to Columbia as a super for a residential building where graduate students live. 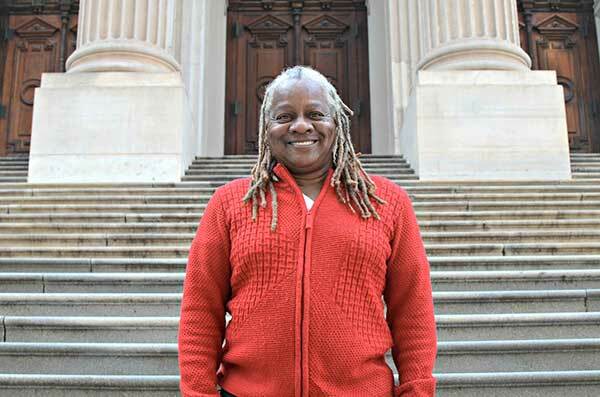 All told, she's been at Columbia now for 31 years. There are an estimated 9000 supers in the city, only 80 of whom are women, she says. When she started, contractors and mechanics would come to the door looking for the super and ask Zuk where her husband was. It took a long time for her to gain their respect, but she did her homework, took courses at the union, and asked a lot of questions. “I wasn't afraid to say I didn't know something,” she said. Her day consists of hiring contractors and overseeing their work but there's more administrative stuff these days. Everything is computerized so there is a lot more online communication and paperwork than when she first started. And as building codes change and Columbia continues to “go green” there is always something new to learn. But she still also gets to fix stuff, which is the best part of the job. She also likes to makes things beautiful. That begins with her dedication to keeping her building clean, comfortable, and secure and it extends to her hobbies. Zuk has a passion for creating abstract acrylic paintings and she loves refinishing old furniture. “I love fixing and taking something broken and making it whole,” she said. When she's not engaged in those hobbies, she and her wife are hanging out with their pup, Abby the “Super Dog.” They also love to travel. Italy and Europe are on the bucket list but Hawaii, where they honeymooned, has their heart. When asked about her job, Berlin Santiago jokes, “Hey, it's a breeze.” But all kidding aside, after 11 years her routine has a flow to it. When she's not at work, she and her husband like to hang out, dance, go to lounges, movies, out to dinner. 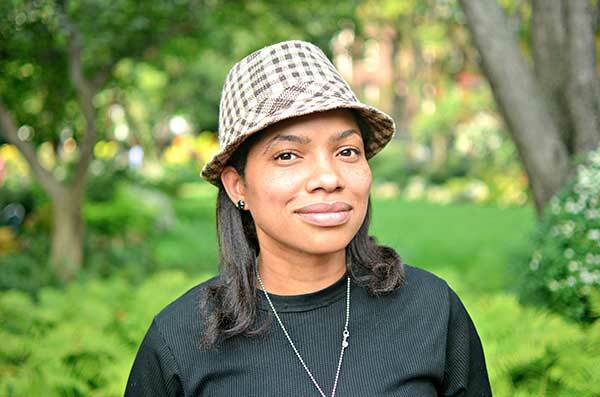 Born and raised in the Bronx, she enjoys all that the borough has to offer. “City Island is one of the nicer spots for seafood, Yankees games, Bronx Zoo, Orchard Beach. Well, the water is disgusting but we go for the music and hanging out,” she said. When Robinson Ovide says he's planning to run for office one day, it's not hard to imagine. Walking with him through One World Trade Center, where he works, you'd think he was the mayor. Nearly every person he passes greets him with a handshake, a wave, or a giant smile. His affable nature and generous spirit shine through. Being kind to everyone, he says, is just who he is. Ovide moved to New York from Haiti in 1983. After visiting for three months he told his father he was staying. Aside from the joy of getting to work in his favorite building in Manhattan, Ovide says the best part of his job is meeting people and making a difference. “The building cannot run without you guys,” he said. Ovide has always taken pride in his work, no matter which job he's held. He is motivated by taking care of his wife and three children who, aside from God and his mother, he says, are the most important people in his life. When he's not at work, you can find him volunteering at his daughter's school, in the community, or at his church. He also likes going to Broadway shows. 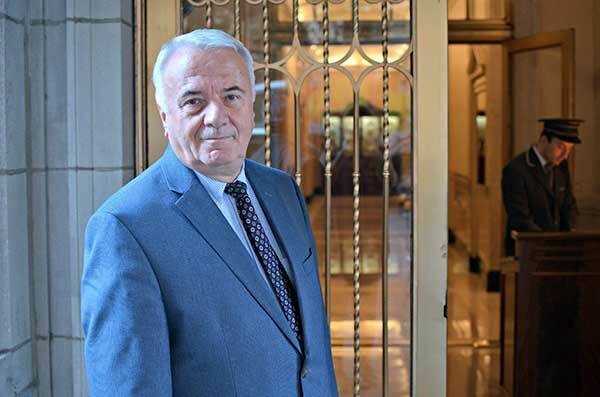 It's a long way from war-torn Albania to a luxury apartment building on Park Avenue, but that's the story of Zef Smajlaj's life. When Smajlaj arrived in New York it was unlike anything he'd ever experienced. He remembers asking an older Albanian friend how long it would take to save $10,000 because he figured once he had that much he could high-tail it back home. His parents escaped from Albania in 1951, making them all enemies of the state. Once settled in Montenegro, Smajlaj realized there would be no future for him there and he escaped to a refugee camp in Italy, leaving his parents and siblings behind. In 1967, Smajlaj ended up on Delancey and Chrystie Streets, one block off Bowery. TThe neighborhood was in the throes of its decades-long epoch as skid row. He would come home from work and have to step over three or four drunks passed out in front of his door. “It was very sad for me to see,” he said, “because I never saw anything like that before.” He also missed his family terribly and did not speak much English, which was isolating. But things soon took a turn for the better. Although he had no skills when he first arrived in the city, a friend found him a job as a porter. After six or seven months he had picked up enough English that he no longer needed a translator. “I still have my accent though,” he laughed. As he worked, he learned various skills and started work as a handyman and super. “You could change jobs every week back then,” he shrugged. It was also during this time that a woman he met while in the refugee camp in Italy moved to New York. They would marry and soon had a child on the way. Before long, his parents and brother immigrated to the States as well. Smajlaj has worked as a super since 1973, and since 1996 at his current building on Park Avenue, near 60th Street. “Now it's a fancy title — resident manager — with a suit and tie,” he said, but a lot of the functions are the same. He's responsible for all the properties in the building, overseeing contractors, paperwork, blueprints, plumbers, electricians, painters and plasterers. In addition, he oversees 11 employees, does the payroll, and the hiring and firing. He feels that communication and diplomacy skills are the most important traits to have in order to be successful at the job. “I love what I do,” he said. “I'm proud of what I do. I think I do a good job and my shareholders are happy with me.” He also likes being able to help other people find jobs. 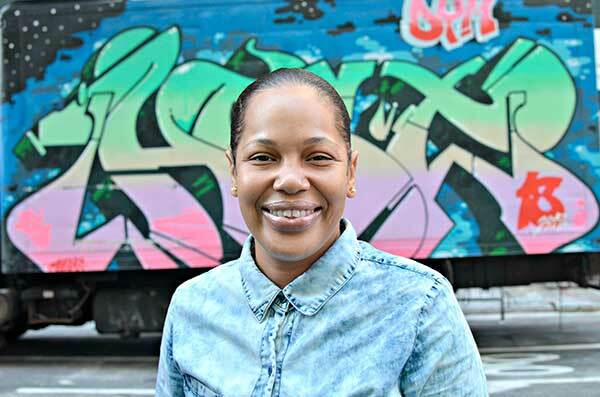 Instead, the Queens native opted for a career in the building service industry. He has held many jobs over his 25-year career including porter and handyman. He's spent the last 10 years as a doorman/concierge at The Avalon building in the East Village. The Avalon is just off the Bowery, but he's never experienced any real problems. The biggest change he's seen to the neighborhood over the past decade is a proliferation of high-rises. Demchuk gets up at 5:30 a.m. every day in order to get to work by his 7 a.m. start time. He's off at 3 p.m. which leaves him time to take care of anything his two sons might need, or lend a hand to his father. To be good at this job, Demchuk says you need to be a people person with good customer relations skills, and with 300 apartments to look after, you have to be very detail oriented. “The best part is knowing I did the best I could for the building, the staff and the residents,” he said. When he's not working, Demchuk spends time outdoors, going to the park, biking or taking pictures. He frequently goes out to the Rockaways where he swims. He also likes visiting Oyster Bay on Long Island. His favorite parts of the city all involve the water — going to the Hudson River, Pier 17 and Brooklyn Bridge Park. He once walked along the waterfront all the way from the Verrazano Bridge to Red Hook. Even though he never ended up playing any instruments himself, Demchuk remains passionate about music and attends a lot of concerts. He's seen The Rolling Stones multiple times, and also bands such as Styx and Rush. So, maybe it's time to revive the dream and put together a band with his colleagues? “I don't think there are many doormen who know how to make music and play rock,” he laughed. He looks after tenants in 113 apartments, knowing everything from their morning routine to the dry cleaner they use. “If they go walk their dog and don't come back by a certain time I know something's wrong,” he said. This era of being a doorman is different. It's no longer the routine of sitting down and taking in a few packages. “The packages are booming!” he said. He gets over 60 each day from Fed Ex, UPS, DHL, the Post Office and laser ship. Amazon Prime, Google Express, couriers and messengers. Then there's the food — Fresh Direct, Martha Stewart, Blue Apron, Kickin' It, Peapod, Amazon Fresh. His building had to install two refrigerators to handle the food deliveries. On top of that, there's the Building Link system. “To be good at this job you have to know your tenants, have good awareness, and know your lobby,” he said. Building Link helps with that, especially keeping track of contractors and guests. Figueroa spent many years coaching kids in baseball. Getting involved with his community is something he is drawn to. For fun, he and wife, whom he met through the handyman in his building, like to go to Jones Beach or shopping. They also like to go out to eat. La Pequena, a Colombian restaurant in Jackson Heights, is a favorite. He also likes visiting the science museum. He used to take his children, now 23 and 16, there when they were young. He loves the diversity of the crowd. 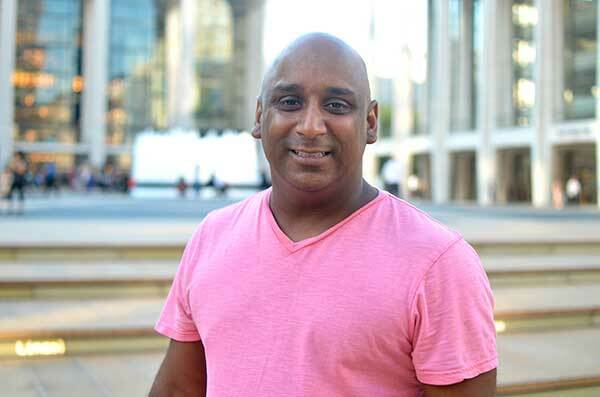 Mohan Matabeek grew up playing baseball in the Bronx. There was a time when becoming a Yankee may have topped his list of dreams, but though that didn't happen, he has batted 1000 in other ways. 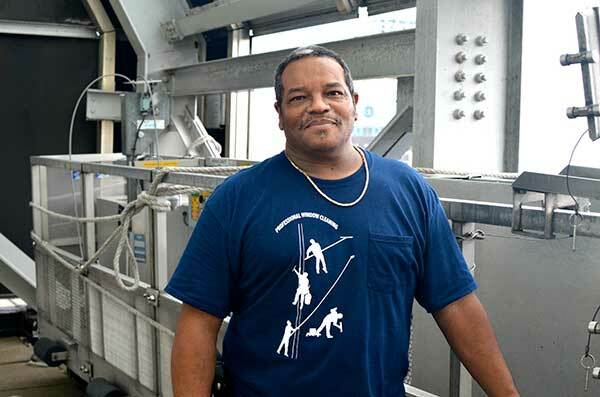 Matabeek has worked as a porter in a building near Lincoln Center for 15-plus years, a job initially facilitated by his uncle, who is the super at a nearby building. Before that, Matabeek worked in the dietary office at Stony Brook Hospital. He begins the trek into the city at 5:30 a.m. every day in order to drop his wife off at her job before starting his work at 8 a.m. Once there, he spends the day cleaning empty apartments and common areas of the building as well as doing handyman work. To be good at the job, you have to like to clean, he said. “When I do my job it's basically what I would like to see in my own house,” he said. Asking what the hardest part of his job is elicits laughs. The best part is the tenants. “They love me,” he said. When he's not at work, Matabeek is working on his bachelor's degree in business management and finance. Or he's hanging out with his stepdaughter, and visiting his brothers and family. On other days you can find Matabeek umpiring collegiate and high school games, something he's been doing for the past eight years. Matabeek and his wife like to travel. They prefer warm places and have spent time in Florida and the Caribbean. They also enjoy vacationing at Lake George, something he's been doing since he was a child, and visiting the wineries on Long Island. You'd probably think that the first rule of window cleaning is “don't look down,” but you'd be wrong. According to Willie Lopez, you actually have to look everywhere. “You look up, you look down, you look sideways, you look everywhere,” he said. Lopez has been cleaning windows for 43 years. He got the job after being laid off from the city, working with pre-trial services. He had a new wife and a baby on the way and was willing to do anything. A friend asked if he wanted to try cleaning windows. “The first day was extremely scary,” he remembered. He was about 20 stories up, with just a belt attached the building, a wand, and a squeegee. No scaffolding. The bravado of youth combined with the focus of his obligations quelled that fear quickly. Plus his friend taught him the ropes and gave him some helpful tips. “We were friends,” he said. “I trusted him.” Lopez caught on easily and three days later they sent him off on his own. Lopez has cleaned the windows of a lot of different buildings over the years including the Empire State Building and the lobby of the original World Trade Center. While fear doesn't cross his mind much, the danger and physical nature of the work is not something he can ignore. “It is hard, backbreaking work,” he cautioned. “You will hurt your back, your knees, your shoulders, your wrists.” He has had his skull cracked open by a falling screw, his ear sliced by a railing, and he broke his wrist once when he fell three floors. There have been a lot of safety improvements over the years but it's still a very high-risk job. “More window cleaners than police officers have died [on the job] for the past two years,” he said, “but you don't hear about that.” One of his best friends died just last month after falling 12 floors. Around 300 to 400 window cleaners came out to pay their respects. In his free time Lopez likes to go to the library to read or surf the Internet. He and his wife enjoy cruises and have visited the Bahamas, Hawaii, France, Italy, Spain, and Germany. He also loves to go see Broadway and off-Broadway plays — “Miss Saigon” is a favorite. Lopez is an avid fisherman. He's also a pool shark and has won many tournaments. “My wife sent me out to buy a kitchen table once and I came home with a pool table,” he said. Lopez is a father of four children and three stepdaughters, and has 15 grandchildren and one great-grandchild. Retirement looms for Lopez and he's looking forward to moving south to Florida. He dreams of owning his own boat one day. The hardest part of Greg Ingram's job is getting there. 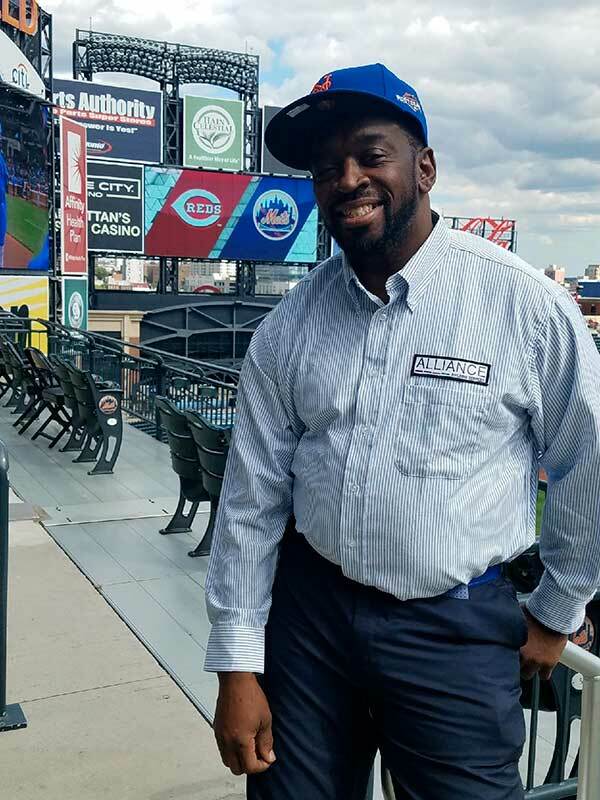 He works the 7 a.m. to 3 p.m. shift at Citi Field. When he's carpooling, that means getting up at 4:30 a.m. But it's an even earlier start if he has to take the 4 from the Bronx to Grand Central, and then the 7 to Queens. “Once you get there, everything else falls into place,” he said. Ingram landed the job right out of high school. When he started, he met a guy who had been there for 10 years. “I said, 'Wow.' I didn't think that would ever happen.” Thirty-three years later he's seen the Mets through two stadiums and a World Series, and he's held many jobs along the way. He began in “the bowl” as a sweeper and was quickly promoted to lead bag man. He's done everything from power-washing the stands to payroll to scheduling shifts. He now works as a porter. He credits his work ethic for his success and says whatever you do, you have to love what you're doing and appreciate your job. Ingram doesn't see as many games as he used to, but he was at Shea for the 1986 World Series. He also has some pretty cool memories of Darryl Strawberry, Doc Gooden, and Gary Carter, who would occasionally hang out and talk a bit with him and his co-workers. But the games and players are not even the best part of his job. From the maintenance department to the food concessions to the office area, he says it's the people that are the best part. Ingram is a self-proclaimed people person. He loves to smile, make others smile and crack jokes. “I have people who told me they were proud of me, that I didn't even realize it would come from them,” he said. “Yeah, it felt good,” he says about winning the award. To be good at his job, Vicente Martinez says you have to have a sense of pride in your work. You can tell that this philosophy extends to his life beyond the job as well. He's rocking a Sade t-shirt, camo pants, a giant forearm length Saint Michael tattoo, and black adidas UltraBoost sneakers. They are last year's model but they are immaculate. Martinez is a sneakerhead. He has about 130 pairs including some Yeezy's, but truth be told, he's more of a Jordan 1s guy. The hardest aspect of his job as school cleaner is the snow days. While kids all over the city rejoice at the news that school is closed, Martinez knows he's in for the long haul. “We can't leave until it's over,” he said. But he's adapted and now keeps an air mattress at work for the days when he knows he won't be going home. His favorite part are the children. When the holidays roll around he can expect a thick stack of hand-drawn cards thanking him for cleaning their rooms and killing ants. “The kids really appreciate it,” he said. Plus, the kids do something that the adults don't always do — they see him. He says that his job and jobs like it remind him of the Stylistics song, “People Make the World Go Round.” “All these people do these jobs that people don't see but they are the ones who keep the world moving,” he said. When he's not working, Martinez takes relaxing vacations. In the city, he likes to visit Soho because it's the New York that you see in movies. Plus if you run into a celebrity, no one cares. He hopes to own a house one day but that will be some place outside the city, maybe even Toronto. He also loves to read and listens to audio books, mostly things like “The 48 Laws of Power.” He likes books that give him knowledge, allowing him to learn from other people's experiences and seeing what pieces he can apply to his own life. After 55 years on the job, Manny Teixeira could be ready to retire. He tried it once. It didn't stick. Teixeira moved to the United States from Brazil in 1955 with his parents. 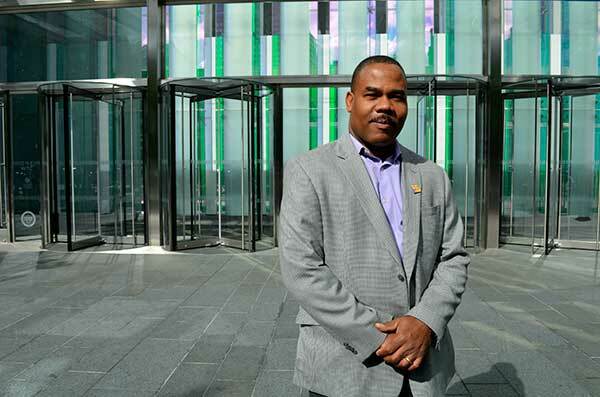 He was 15 at the time and he came here “like everybody else, for a better future.” He found employment at the Henry Hudson Hotel on 57th Street but his father, soon to be the super of a brand new building, persuaded him to make the switch to doorman. Teixeira took the job at the Trafalgar House in 1962, before the building was even finished. He quit in 1982 to try living in Costa Rica, but he was back on the job two years later. He tried leaving again a year ago. He's been working since he was 12 years old, and will continue to do so until his body tells him it's time to quit. 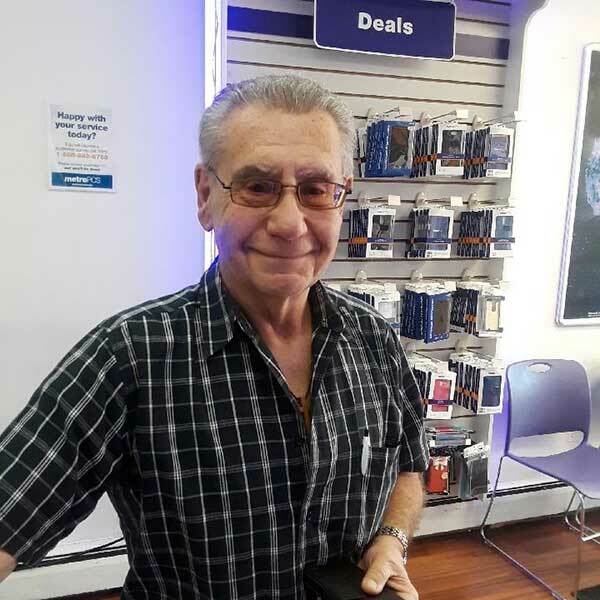 Teixeira handles all the typical doorman duties — greeting guests, taking care of deliveries, handling packages. He works the morning shift, which means waking up at 3:30 a.m. every day. He takes the PATH to the World Trade Center and then the subway uptown. The commute is not the hardest part, though. He never eats at work but has a banana at 11 a.m. At 2:45 p.m. he does the reverse commute back home to New Jersey where his wife has dinner waiting. In his free time, he and his wife like to take long vacations. They've been all over Europe. His favorite place is Italy — he loves the people and the food. His wife likes France. “All women like France and Paris,” he said. In addition to traveling, Teixeira just became a great-grandfather for the first time. 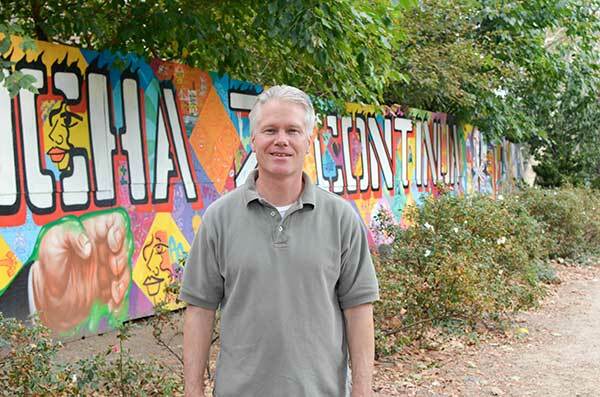 Being in one place for so long has enabled Teixeira to watch the city change over the years. Where there used to be rows of small houses, there are now tall buildings. The neighborhood used to be mostly Irish. Now it's full of people from all different countries. His favorite time period was the 60s when he first started because everything was new for him. Elaine Chaneyfield works as a security guard at the MTA Bridges and Tunnel Building, which is ironic since she doesn't even like the train. Still, she's been at 2 Broadway for more than 17 years. Her job entails a lot of things — greeting people, signing them in, monitoring her surroundings, answering phones — and requires empathy, courtesy, and compassion. “I put myself in their shoes,” she says, and that helps her to figure out the best way to handle any situation that comes up. Chaneyfield is also an avid cook. “I'm a very good cook,” she said. That's everything from lemon meringue, cherry, pecan, and sweet potato pie, to chicken, potato salad, mac & cheese and peach cobbler. Chaneyfield likes the challenge of trying different recipes but even more than that, she loves to watch people eat her good food. As far as a bucket list goes, Chaneyfield is in the process of getting a house. She has always thought of owning her own business, maybe a security company or perhaps a restaurant. Gromley has been the handyperson at Q378 pre-school in Queens for three years but she's been fixing things ever since she was a little girl. She grew up as the second youngest of eight children in Northern Ireland. She learned handy work from her mother and remembers changing her first electrical outlet at around age seven. “Actually, in Ireland women do most of the decorating of the house and physically do all the work,” she said. Decorating there doesn't mean picking out window treatments. It's part of construction work and deals with patching and painting, installing crown molding, and more. Gromley first came to New York City in 1990 with dreams of being a police officer. After a few conversations, she was talked out of that line of work. Since she already had her certificate as a “Painter and Decorator,” she started her own handyperson business. 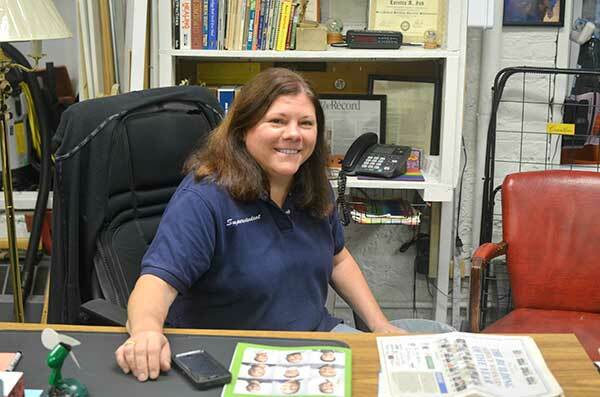 She does everything from ripping out bathrooms to replacing kitchens, and though she's been at it here in the states for 27 years, she still gets some weird looks at the hardware store. “I usually help the next customer that the man working there can't help,” she said. “Then he either gets pissed or I get respect. One or the other.” At the school Gromley does it all, from making sure the air conditioning and heating is working, to maintaining everything from floor cleaning machines to outlets, and most importantly, making sure the building is secure for the children. She makes things fun for them and has decorated and named one of her garbage pails “Dusty.” The kids smile and wave as “Dusty” makes his way through the halls. One day, she hopes to own her own building. In the meantime, you can find her taking all the classes necessary to prep for her next career step, custodian engineer. It makes sense that Joseph Saljanin is receiving the “Helping Hand” award. Helping others is in his blood. His father was a building super and, Saljanin said, was the first Albanian immigrant to own his own building. Much like his parents, Joseph is known for his selflessness. In April, he spent his spare time organizing an effort to refurbish a school for children with special needs, Astoria Blue Feather Headstart School. He got the word out about his project, rounding up volunteers from the Scandinavian American Building Managers Guild and Metropolitan Building Mangers organization. Together, they spent their weekends collecting supplies for the school and re-painting it. In addition to completing the project for the students at the school, Joseph and his team were also able to raise awareness in the community for Autism Awareness Month. Saljanin has spent his whole career with Rose Associates. He started as a handyman right out of high school. At the time he didn't think he'd make a career out of it but life happened and he just kept going. 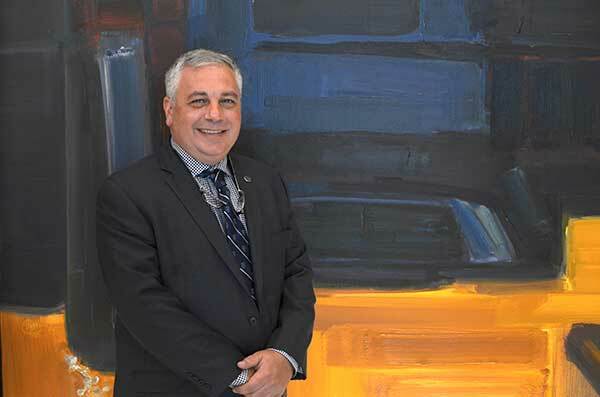 In his current role as resident manager on East 79th St., he wears a lot of hats — oversees staff, gets bids from contractors, and is there to assist the tenants with their needs. His favorite part of the job is mentoring new hires. “When you bring someone on board and change their life, it's gratifying,” he said. When he's not working, he and his wife spend time with their 9-year-old triplets. They make his coffee for him every morning. 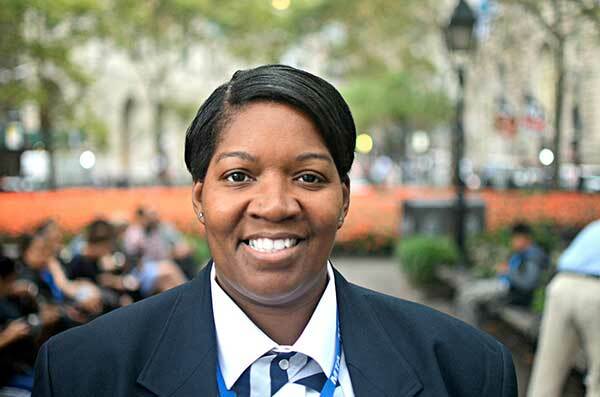 Karen McMillan is a security guard for the Department of Citywide Administrative Services on lower Broadway. She's been at this job for 12 years but 14 with the city overall and another 16 in the private sector. All told, McMillan's been working as a security guard for three decades. It makes perfect sense then that the hashtag she's adopted for her life is #AlwaysThere. “Always there” applies to her job loyalty and dedication to improving herself and others. When she's not at work, she's taking classes and helping out with whatever else is needed at 32BJ. McMillan likes to help people. She takes pride in standing up for what she believes in and she loves learning. What she doesn't like is the attention that winning this award brings. Thirty years ago McMillan protested Mayor Abe Beame's attempt to dismantle what is now known as the Pell Grant and it was the action that would catalyze her lifelong path of standing up for herself and others. “I've always been radical,” she said. If you're flying British Airways out of JFK, you can rest assured that no one is getting into an area in which they are not allowed. That is thanks to Carrol Cort. 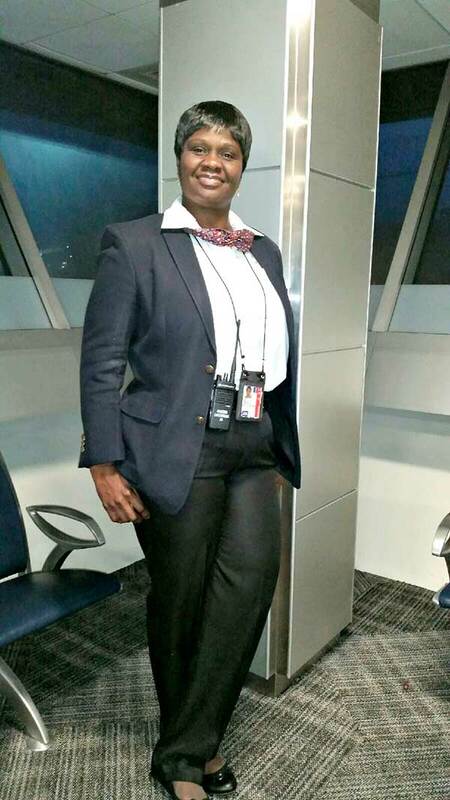 Cort has been with the airline for 22 years, first as a checkpoint screener and then handling security in an area located closer to the aircraft. Cort came to the U.S. from Guyana almost 30 years ago. Before she began at the airport she studied nursing and worked in accounting. She was attracted to a career in aviation because there was so much to learn and it offered more room to advance, so she made the switch. When she's not working, Cort spends time with her husband and two daughters. They might go out to eat or catch a movie. She also enjoys the vibrancy of downtown Brooklyn and likes to see shows at the Barlcays Center. She and her family also love to travel. They've been to Jamaica, Antigua, Barbados, and Canada. She's also been back to Guyana four times. Family, fairness, and hard work are the bedrock of Norman Echavaria's life. “I'm a simple guy,” he said. 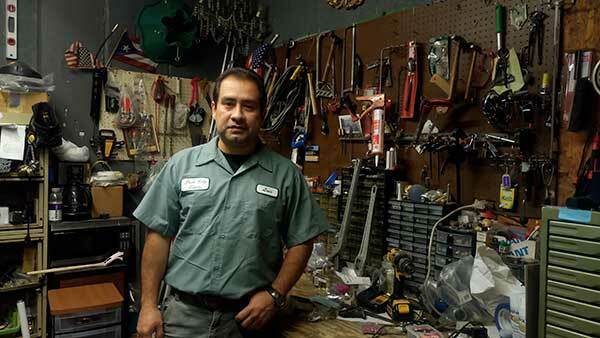 Echavaria has been working at LaGuardia Airport for 11 years. He started as a baggage handler and is now a wheelchair attendant. He's up at 3:50 a.m. every day and catches the bus to make it the airport for his 5 a.m. start time. His is a very physical job and has taken a toll on his body, but he loves talking to the passengers and helping them get what they need in order to have a nice flight. What keeps him going is thinking of his mother back in Colombia. He hopes that someone there will help her when she needs it, the way he helps his customers. He sees his job as sort of paying it forward. “I receive and I give,” he says. 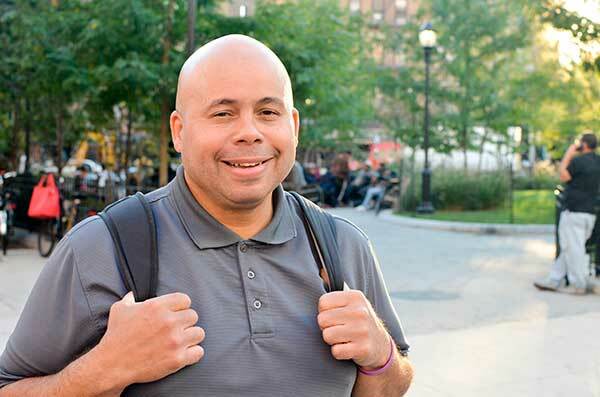 When he's not working, Echavaria likes to work out, do physical therapy exercises to keep his back healthy, read books, watch the news, and listen to music. He also enjoys meeting up with his friends in the evening. They go to Dunkin' Donuts to talk for a few hours. In the summer he likes to take the ferry to Ikea in Brooklyn. His favorite part of New York is his adopted home of Queens. There he has friends and co-workers from all over the world — Colombia, Mexico, the Dominican Republic, Peru. Echavaria goes to visit to his native Colombia every year or two and recently visited his mother. He thinks about possibly returning full-time one day, maybe to help out his stepbrother who is in talks to buy some land in the countryside where he plans to plant corn, avocados, yucca, and plantains. Echavaria also gets out to California to visit his son when he can. When it came time for Nancy Vazquez to look for a job after high school, she did what everyone in Newark does. She headed to the airport. There she got a job as a skycap. Twenty-five years later, she's still there. 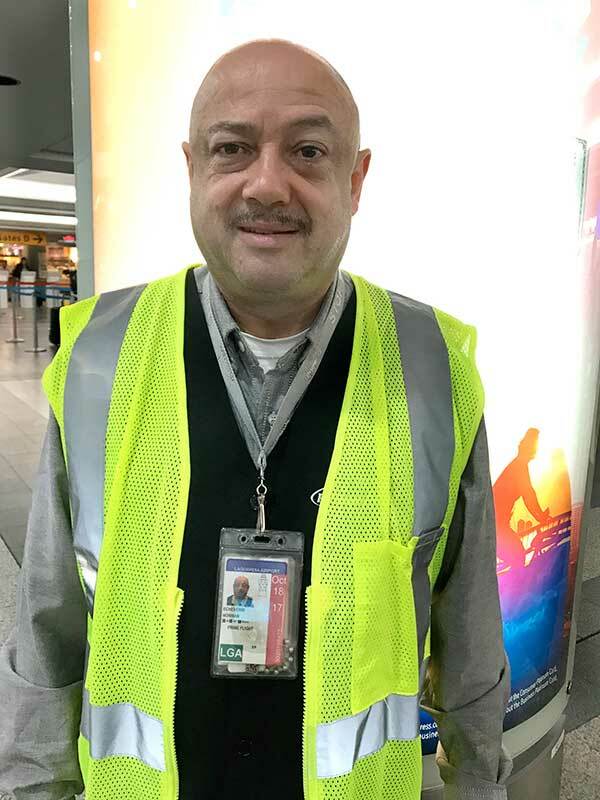 As a skycap at EWR, Vazquez checks people in for their flights and makes sure their bags are heading to the right place. Skycaps work for $2.13 an hour plus tips, so things can get extremely competitive. Being just one of two women working in the job along with 70 men can be weird. Sometimes customers walk right past her, not realizing that there are, in fact, women doing that job. But it's those same customers who make the job worth it. Even with a 6:30 a.m. start time, Vazquez says the best part of the job is talking to the customers. “People are really open,” she said. “You find out so much just in that one minute!” It helps that Vazquez is naturally personable and that when she's not working, she's an actress. Actually, it's writer, director, and actress. The great trade-off for starting work so early is that she gets off of work early, which leaves plenty of time for her to pursue her passion projects. “Free time? Write. Write, write, write,” she said. “Make my films and documentaries.” Also, she's found her public-speaking voice and has spoken at more than 20 events and conventions, encouraging people and conveying everything that they are fighting for. The next logical step may be public office. In the meantime, she's got her 32BJ acceptance speech ready, and is working on the one for her Oscars. If there's one thing you won't hear Luis Ledesma complain about it's his commute. Not only has he been at his job at Park City Estates in Rego Park for 14 years, he also lives there. “I bought a place there so I could spend more time with my family,” he said. That family includes his wife, with whom he moved to the United States from Peru 15 years ago, and their 11-year-old son. He and his wife return to Peru every other year and alternate those trips with other places like Canada and Florida.